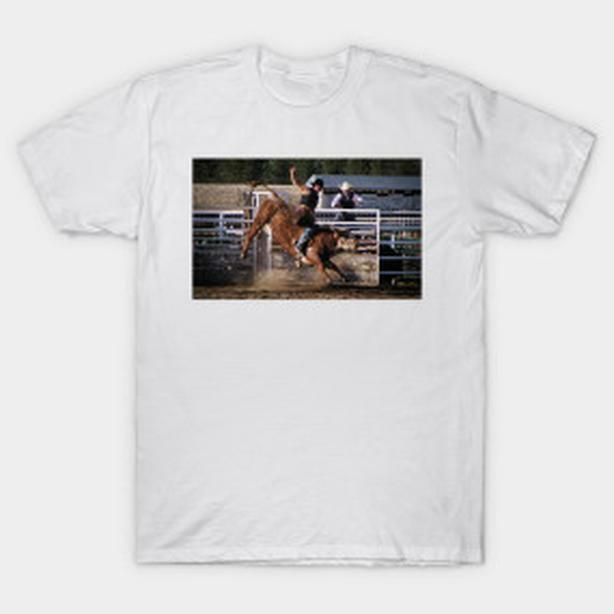 A rodeo bull rider taking on the bull in the arena, having the ride of his life! Dangerous sport, but cowboys will be cowboys...Photo by noted photographer and artist, Bryan Smith. His unique work has a special quality, that makes it popular among many. More of his fine work is featured in our store, available for your enjoyment on a wide variety of gift items.